Eerie is perhaps the most enjoyable Filipino horror movie that I’ve seen so far. 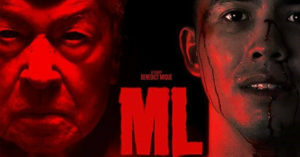 Definitely a standard way above the Shake, Rattle, and Roll movie franchise, or any other Pinoy horror films. Most of our horror movies have sucked so much that I’ve just stopped watching them. 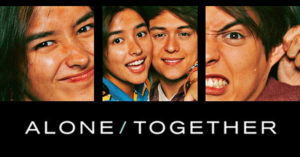 But this movie has reset the calibration in the industry. 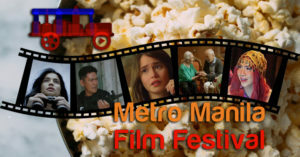 The young director, Mikhail Red, has had a knack of being able to adopt Hollywood and international standards of film-making and he has definitely incorporated his skills in this movie. I see Eerie as Red’s successful exhibition on the horror-thriller genre. Sure it has plenty borrowed techniques from other well-known movies, but the point is that it works. It works so well that it gives me excitement for the future of fright films. 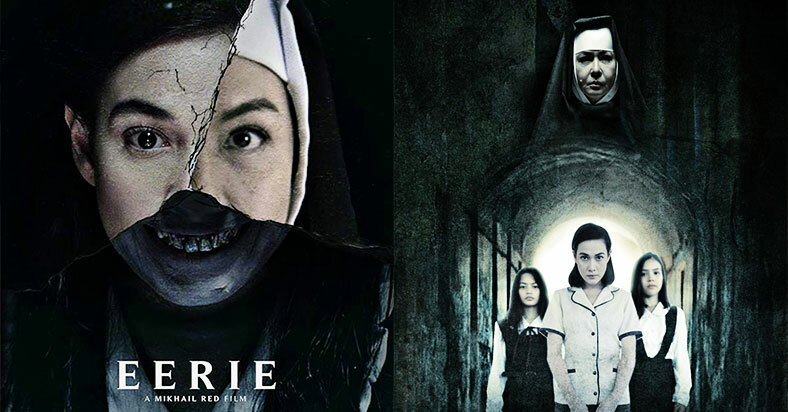 I think Eerie was meant to be a new stepping-stone for creativity for Filipino horror. For spooks, the movie uses sinister background musics similar to the flick “Insidious”, dark themes and lighting, jump scares, a compelling story with mild twists, loneliness of the main characters, and plays with the audience’s expectations like the kind of feeling we get when we scare ourselves by thinking “there’s something behind me”. Eerie deals with the topics of antiquated religiousness and how it can be a cause of concerns for the youth who are forced to apply it in their modern life. It’s also critical of topics about mental health, teen suicide, bullying, depression, and excessive child discipline. A sort of “sainthood” is also perhaps an element the film is trying to portray towards the end of the film through its protagonist Patricia. For more about “Eerie”, see the movie scene breakdown here!!! Patricia (Bea Alonzo), or Miss Pat as the students call her, is a guidance councilor of the Sta. Lucia Academy For Girls, an exclusive all-girls private school run by Catholic nuns. Patricia’s affection for the students has caused her to independently and without the knowledge of the school’s head, Sor Alice (Charo Santos-Concio), make her own investigation about the suicide of a student named Erika. 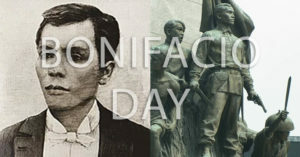 Students of the academy are traumatized on occasions of apparitions of the ghost of Erika. Anna, being one of the students, is sent home after this experience when she ventures alone at midnight where Erika supposedly hanged herself. The movie later shows Patricia being able to contact the ghost of Erika during midnights at the academy. She tries to find answers about her death by opening conversations that often leads to more mysteries and doubts about how the management of the academy deals with disciplining children through excessive methods. Little by little, Erika opens-up about her childhood trauma and neglectful parents which steered her to her suicide. In the next days, the body of a student named Clara has been found murdered at the school’s front yard by means of strangulation during midnight. This saddens Patricia since she is quite close to her and they’ve even made a pact to help each other in times of need during one of their counselling sessions. 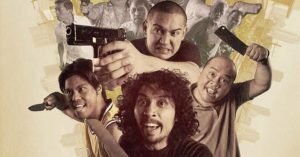 Police and their investigator Julian (Jake Cuenca) arrests the main suspect who also happens to be the school’s groundskeeper, Mang Fidel. Mang Fidel is later charged with homicide and could possibly get the death penalty after confessing to the murder. This leads Patricia to believe that there is something more sinister happening to the students that Sor Alice seems to have more knowledge of. She also ends up seeing the traumatized ghost of Clara at night but unlike Erika, she seemed more terrified and always hiding out of fear. Soon Sor Alice makes new stricter school regulations including forbidding faculty members to stay out of the school’s premises after 6pm. This would eventually hinder Patricia’s independent investigations and contact with Erika and Clara which often occurs during midnight. As Patricia finds ways to know more about Erika’s past, her findings lead her to a confrontation with Sor Alice. Sor Alice tells Patricia that when Erika was still alive, she tried to help her through religious means as she was a troubled teen. She believed it was God’s power that was the most effective way to help someone. But she didn’t realize the approaching misery and death of Erika and how she will become a powerful evil haunting the school. She tells her that she also witnessed the death of Clara and that the same evil was present during her death. She advises Patricia to stop what she’s doing and to pray for forgiveness but she declines. Since Patricia remains resilient with her investigation, she asks for help from Julian to find out more about the death of Erika and her family. She later learned that Erika’s father murdered her mother after her suicide and that his murder confession is verbally similar to Mang Fidel’s after they’ve played both accounts on tape recorder/player. 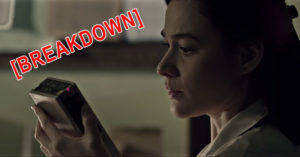 This makes Patricia believe that the deaths of Erika and Clara have more connections to each other rather than isolated cases. She then hurries back to the school at midnight to confront Erika and to try to save her but after their dialogue she realizes that Erika has become evil herself and has the power to influence people to inflict harm to another. As they talk in a confession booth of the school chapel, Erika tells Patricia that she used her power to posses her father in strangulating her mother the same way he used Mang Fidel to murder Clara. She then gives her a grim warning saying “paparating na siya” as an indication that Julian is about to come to kill her as she has also taken possession of him. 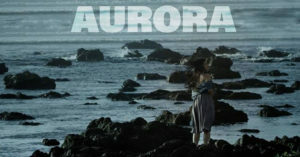 The scene comes to a chase where Julian is now in pursuit of Patricia to kill her. He seems to be in a demonic trance under the control of Erika. The chase ended up at the roof top of the school where Julian was able to catch up and strangle her but at the nearing of her death, Clara comes to her rescue by attacking Erika and driving out her influence over Julian causing him to go out of conscious and eventually saving her life. That would Became the last time Patricia saw the ghosts of Erika and Clara. Some days later, as Patricia heads out of her office, everybody from school was sad and mourning. Sore Alice glances at her with a grim look by the hallway and she proceeds immediately to the chapel where the mourning students were coming from. She notices a funeral casket in front of the altar and is shocked to realize that the people were actually lamenting her death. She actually died from Julian’s strangulation and she has been unaware that she’s now a ghost roaming around the school.